This is Livu Laukums (square) in Riga’s Old Town. It is only a few hundred meters from my Old Riga apartment. It’s a hugely popular place to hang out in the summer. 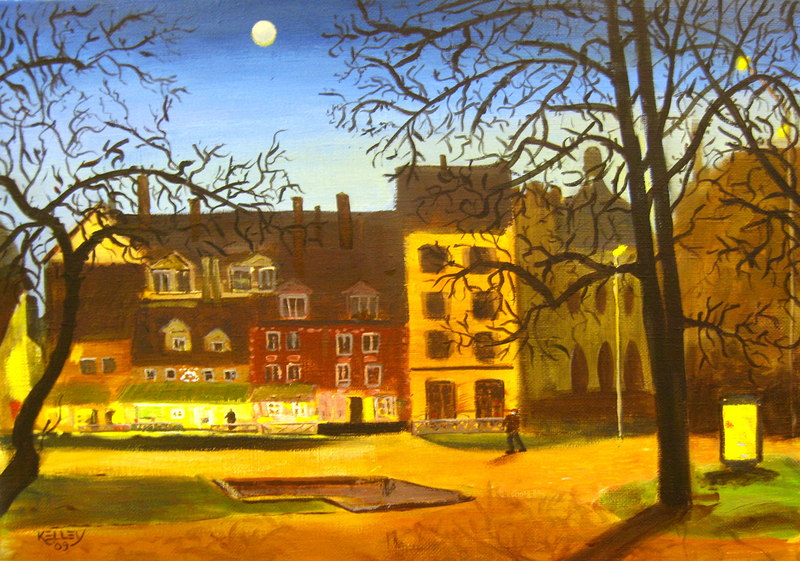 I took the photo from which this piece was painted about 8 pm on my birthday (April 22) as I was walking home. Winter was over but the spring leaves had not yet come.